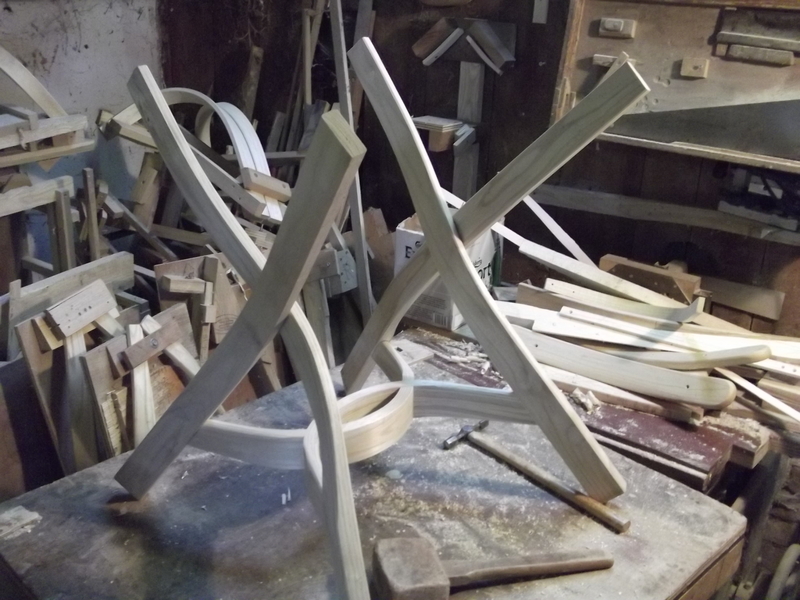 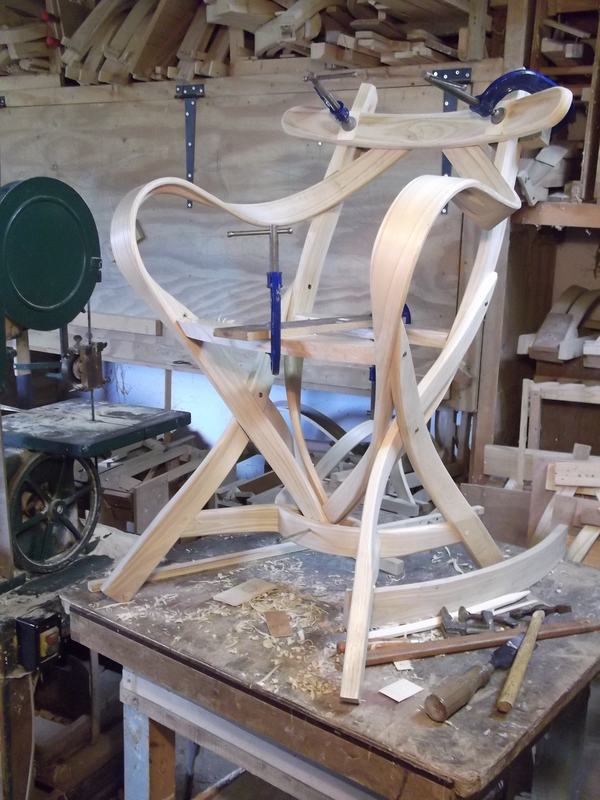 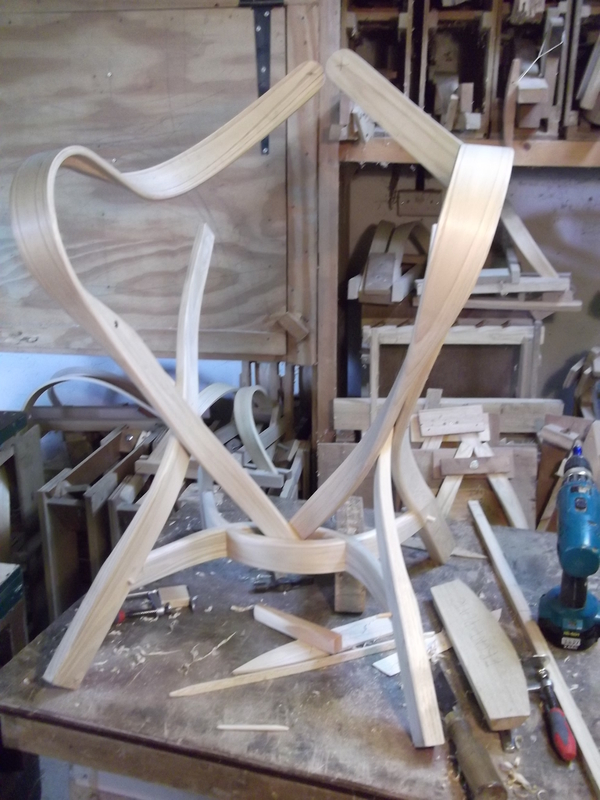 Ash stool under construction has round wedged tenons on the top. 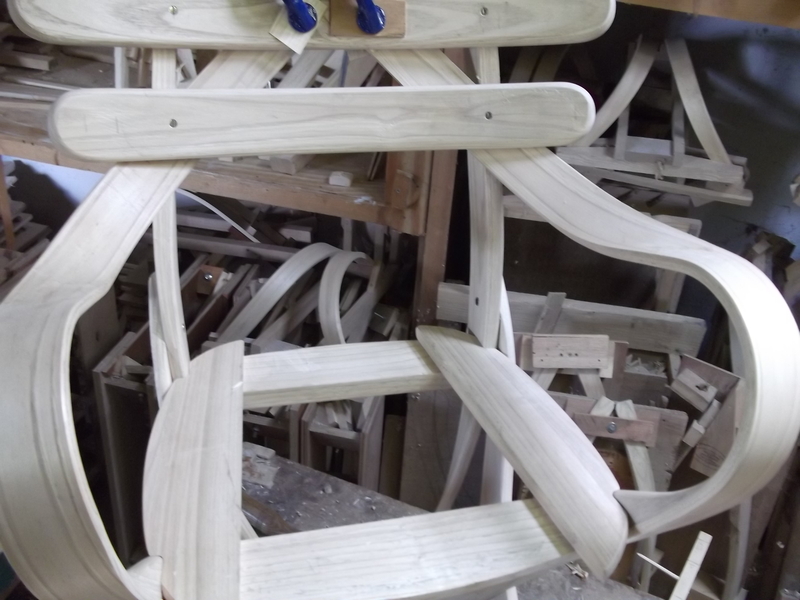 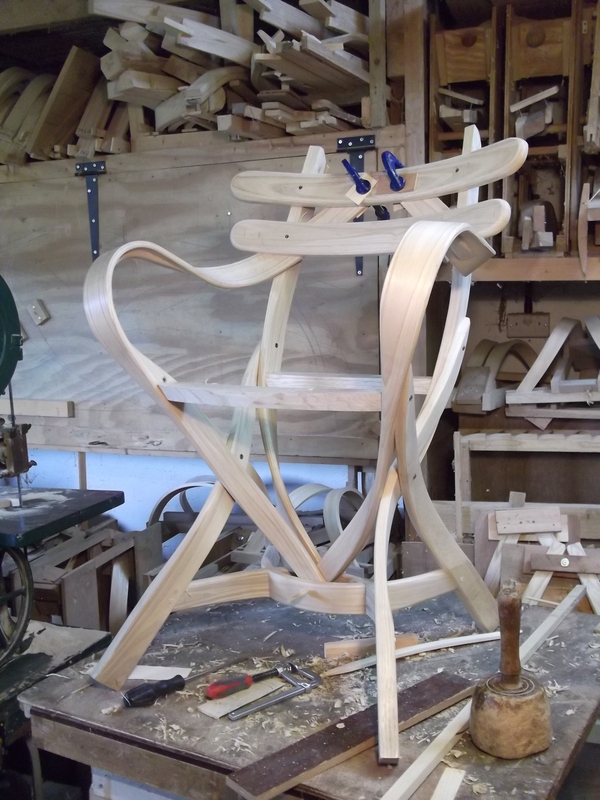 This is the unfinished chair. 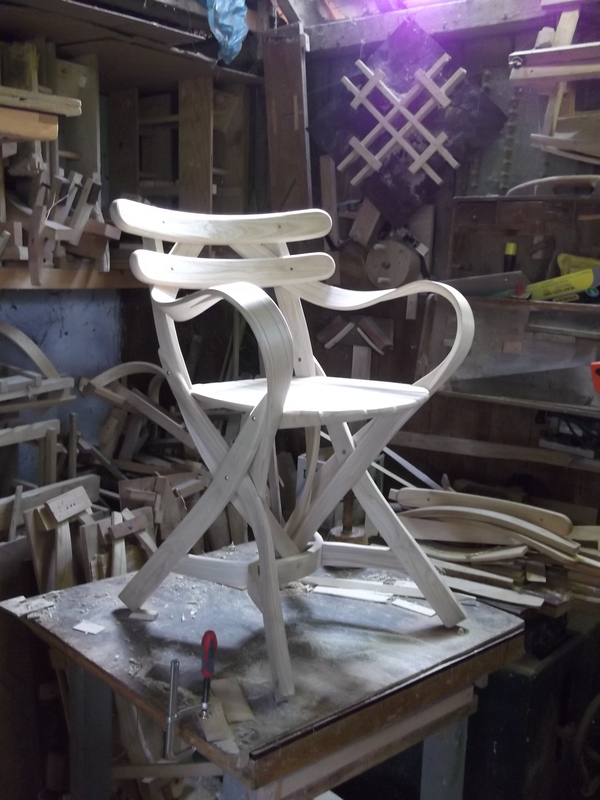 The work shop is too dusty to apply the finish here. 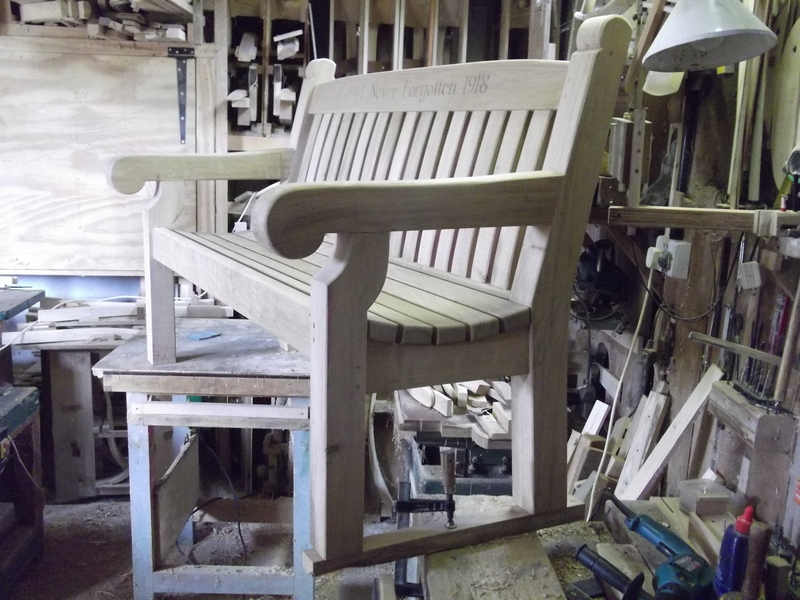 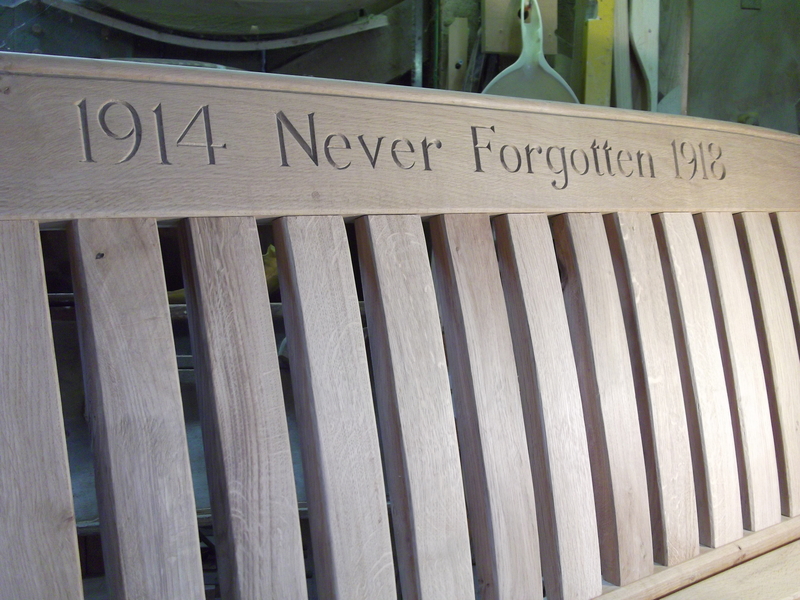 To remember the men from Tunstall who died in the First world war 100 years ago Tunstall parish council commissioned me to make an Oak bench. 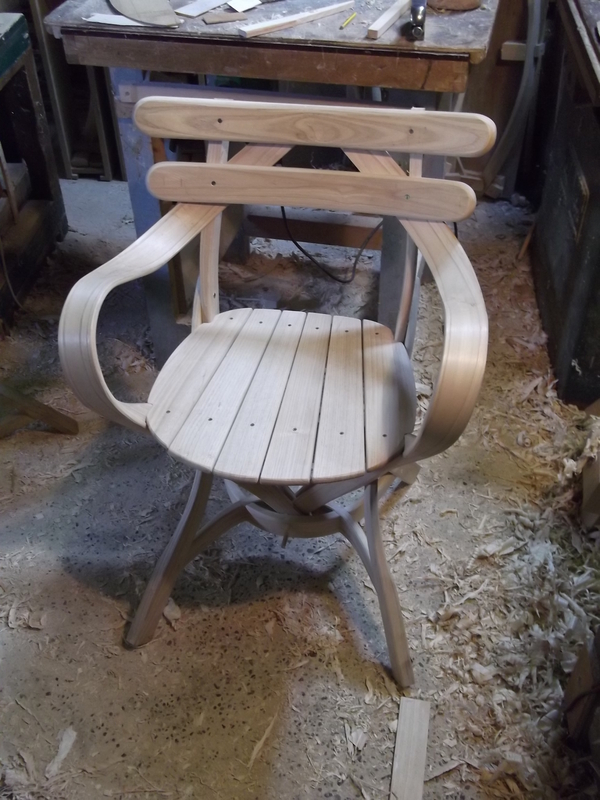 Made from locally grown Oak.